In the year 1999 my father was a taxi driver in North Dakota. In case you don't know 1999 was a scary year (Y2K) for hippies like my father. He and many others thought that the computers would reset everything to the year 1900 instead of 2000, and we would have to restart with old technology. He was preparing for the worst the whole year and my mother told him to stop because it was a stupid idea, but he wouldn't listen to her. He always thought the government was after him and watching him which made him even more paranoid. He told me that in December of 1999 he thought he started seeing a stalker. 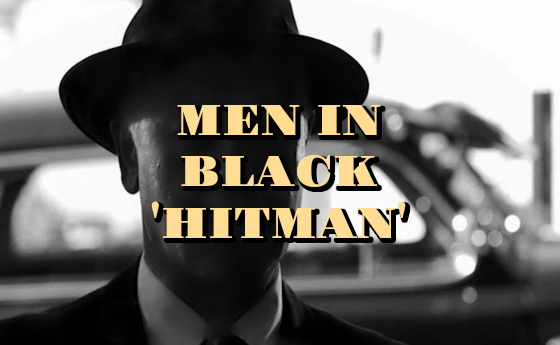 A man who wore a black suit, a black tie, and a dark brown fedora. It was always at 8 am when he started work so he blew it off for awhile and thought maybe he was just on his way to work as well. That is, until he hailed my dad's taxi. It was less than a week before New Years and the man hailed his cab. My dad said he walked slower than a normal person did and had no facial features, as in no scars, blemishes, or discoloration in his face. He was about 5 foot 10 and had a high-ish pitched voice. He also had a briefcase handcuffed to his hand. He got in the back seat on the drivers side and said "292nd Avenue, floor it." and handed him 500 dollars. My dad said it would have not even been close to a 500 dollar drive and insisted not to take all $500. The man said "You will need it soon, Patrick." as calmly as a human being could talk. My dad said he was flipping his sh*t at how he knew his name and how crazy the situation was. My dad tried to make small talk on the way there but the man just looked straight ahead at the road and never said a word. He arrived at the road to find it was in the middle of absolutely no where. My dad kept driving until the man whispered "stop." The man said nothing as he slowly got out and started walking into the field. My dad looked at the man to see his briefcase handcuffed to his left hand, and a revolver in his right. My dad peeled out and kept looking to make sure the man never tried to shoot him, but he didn't. The man never stopped walking, looked, or changed his pace. Nobody believed my dad when he told them and tried to forget it.